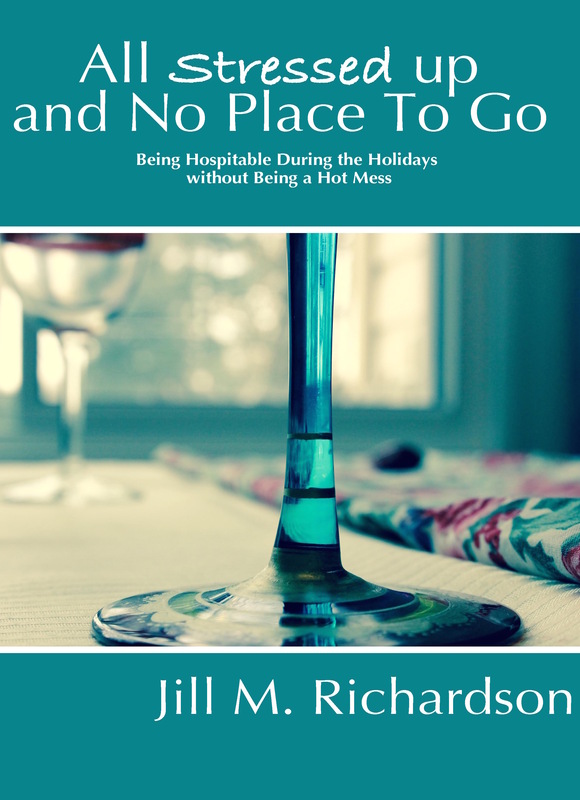 For 2 quick two weeks we’re looking at ideas for holiday hospitality that won’t stress you out. (If you refuse the lure of getting all psycho perfectionist, that is.) How do we use those gifts Peter talks about cheerfully? How does a cookie party translate into showing deep love for each other? It does, because opening your home opens your heart. It opens conversation. It opens a peaceful warm place to just be during a crazy time. So here are the last seven ideas. Make them easy. Make them fun. Don’t care if the plates match or the floor is clean. Just be with your people. Get together to exchange ornaments, make ornaments, or donate ornaments to a local emergency shelter, hospital, etc. Some fun ideas are here. make something together. Anything. It does not have to be a giant project filled with expensive craft doodads and All. The. Glitter. (OK, so I used some of the glitter below.) You do not need to be Pinterest experts. Just assemble some easy items and go for it. There are some easy ideas on my Pinterest board here. It absolutely does not get easier than this. Gourds and glitter. Alliterative and simple. You’ve seen those amazing looking buffets of nothing but s’more items? You can do this. Don’t you think you must do this? To be fulfilled in life? I kind of do. Put together the crackers, melted chocolate, peanuts butter (check to see if any guests have allergies), candy, marshmallows—anything you can think of. Grab a skewer and go for it. Here’s what it looks like. Plus this picture of amazing options. Basically the same as the s’more party, only you can feel more civilized and healthy about it. You really probably won’t be. It will still involve skewers and most likely cheese and chocolate. But you can fool yourself. Plus, skewer sword fights. Carefully. Oh, this is so my thing. OK, you do not have to create Minas Tirith. A tidy cottage will do. Get some boxes of graham crackers, make some frosting, and supply tons of candy decor. This is so fun. And everyone gets to bring home a cool creation. We had planned to do this last New Year’s Day. Then flu happened. So maybe a reschedule? Self explanatory. Board games. Snacks. You. Hyper-competitive friends are optional. If a dinner or evening party isn’t practical, how about a winter brunch? Have friends over early before the craziness takes over. 10 am breakfast smorgasbord? I would be there. Especially if it involved a creme brulee french toast bake. Just saying. I would love to know which one of these you decided to try and what happened. Drop me a note on the Facebook page or in the comments. Have a joyful time!